What Moz Local is and what it does can be kind of confusing. I think it’s about time we answer that question for you. Moz Local helps you make sure the 4 major data aggregators out there don’t keep sending out the wrong information about your business to the hundreds of local business directories they sell information to. Whether it’s a wrong business name, address, or phone (NAP), obviously wrong information is a problem as it will make you lose sales when your customer shows up at your old address or calls and the number is disconnected. But this also hurts your ranking on Google to have conflicting information about your business on the internet. 99% of wrong NAP information comes from the 4 major data aggregators. Updating each one individually with your correct information is a pain, super time consuming, and expensive, not to mention tricky to do correctly. Moz Local updates all 4 of these major data aggregators at, more or less, the click of a button, saving you a ton of money, time, headaches, and tightening the security on your rankings on Google. Moz Local costs $84 a year per location of your local business. Moz Local is not to be used in place of local business listing services like Local Listing Ninja that claim your profiles on local business directories, optimize them, index them, etc. 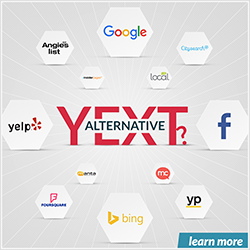 These services help you rank better on Google over time in a big way. Moz Local does not really help you rank better on Google, it makes sure you don’t drop ranking on Google by keeping your information correct across the internet. Therefore, Moz Local should be used in conjunction with a local listing service for maximum effect, not instead of. Read the full article below if you want to know all the juicy Moz Local details. Sit down and let me tell you a story. A story of fear, frustration, and the worst feeling of all, lost profits! A long time ago, when Moz Local wasn’t a product, there used to be a fiendish problem. A local business would be checking to see how their business information such as business name, address, phone, (NAP for short), etc. was represented online. They would find online profiles of their local business on local business directories (like Yelp, Yellowpages.com, etc.) and check to see if their business information was correct. If all was well and good in their local business data world, all their profiles would be correct. But there were times that you would hear stories. Stories of other local businesses that weren’t so lucky. You would hear rumors (not really, people were pretty vocal about it) of local businesses that would check a few local business directories only to find grizzly issues. One business might find a particular directory had an old phone number for them that had long been disconnected, GASP! Their customers had been calling this phone number day in and day out only to hear the horrific, monotone screech of an operator saying, “This number is no longer in service!” The lost customers lying along this road, their money dead to the local business in this quandary, was seemingly endless. A true nightmare indeed. How did this happen? Where did this bad data come from? And oh my, how do I make it stop?! These are real life local business horror stories. This was before our hero came on the scene. Cue Moz Local to enter shortly. So, obviously, incorrect information has to get out to these local business directories somehow. Incorrectly spelled names, wildly incorrect names in general, old addresses, old phones, your fax number listed as your phone, etc. Local business owners don’t purposefully put this bad information out there of course. How do local business directories that you’ve never even heard of in your life, that look run down, barely put together, hanging by a thread, get your local business information? And furthermore, how do they get it wrong? That answer my friend would be data aggregators. Data aggregators are companies that collect millions of local business information (NAP) and then sell them to 3rd parties. Their customers could be anyone from a B2B company wanting to use the data aggregator’s list of local businesses to cold call and make sales, all the way to local business directories (like Yelp) that need information to populate their sites. Local directories want that information so when “Bob” searches on Yelp for “car repair,” Yelp can give them a full list of all the local repair shops in the area. Not just the ones Yelp’s own database has. Make sense? In the United States, there are 4 major data aggregators (4MDA). They are Infogroup (also known as ExpressUpdate), Acxiom, Neustar Localeze (also known as just Localeze), and Factual. And in our little story, these guys are our primary culprits. The 4MDA’s are responsible for all the bad information out there for our poor little local businesses. So how does your good data break bad? The 4MDA’s find your data, catalog it in their database, and then sell it, whether it’s accurate or not. Sure, they “try” to make sure your data is accurate but you won’t find too many people that say they do a phenomenal job at it. And now they’re selling your local business information to hundreds and hundreds of local business directories annually and these local directories use that data to create profiles for your business on their website. Aww, that’s really sweet, right? Not really, because they may not have your information correct and that is causing massive bad data issues if that’s the case. Now, if your information is correct across all 4MDA’s, that’s great. But that’s extremely, extremely rare. And let’s say you have a major business life event. You move locations, rebrand and change your name, or switch phone numbers. Unfortunately, there is no one to tell the data aggregators that. And there’s not really a concise effort on their part to update your information. And you can’t really blame them for that. I mean, think about it, there are supposedly 19 million local businesses in the United States. The data aggregators don’t have the manpower to call each one every month to see if you’ve made any changes to your local business. While some do make somewhat of an attempt to do just that, they aren’t able to cover every single local business and you can see how the expectation itself is probably just a tad bit unrealistic. So, who does the responsibility of making sure your data is correct end up falling on? So, let’s say that all of your information is being pushed out by these data aggregators incorrectly to the hundreds of local business directories these data aggregators sell to. Whether that’s because these data aggregators got your information wrong in the first place or they didn’t update your information when you moved, it doesn’t matter. It’s incorrect now and this very moment they’re pushing that bad data out. But now you’re equipped. You know the problem and the solution: update the data aggregators. Which you can still do today actually. But you need some helpful information to get started. You need to know how many data aggregators there are and who they are so you can go to them and change your information. We’ve got you covered there. The 4 major data aggregators (4MDA) are Infogroup (also known as ExpressUpdate), Acxiom, Neustar Localeze (also known as just Localeze), and Factual. And now all that is left is to update them. The only problem here is the process to update these 4MDA’s is time consuming and can be problematic. They all do different things and handle their information in different ways. Many times just finding the place to edit your information on each is the biggest pain in and of itself. For example, one data aggregator might have a database you can look through online to find your local business. You find your business listings and they ask you to phone verify it. You phone verify and then fill out your information correctly and presto! You’re done. Except what if your local business isn’t already listed? Now you have to email in, ask them to add you manually, wait 2 weeks for it show up, and then phone verify. Oh, and that’s if you can remember to do that and if you’re not super busy with, you know, that whole local business thing that you run. This is actually ExpressUpdate. That is how they work. Still another data aggregator might ask you to fill out a form and then show proof of business ownership by faxing in your state license number, or other official document to prove you’re actually a real business entity. And even then, you have to wait weeks for it to go live. And you’re not even exactly sure if it goes live in their database. This is real. That’s Acxiom. So, now you can see the issue mounting. Many local businesses have tried to update these 4MDG and succeeded but many, many, many more have failed. It’s complicated, frustrating, a time sink, and not to mention one of these 4MDA costs $300 a year (Localeze). Don’t you wish there was a cost effective, simplistic way to handle this massive undertaking? Maybe a tool that would submit to all 4MDA’s for you by just simply typing in your business information, hitting “submit” and moving on with your day? In it’s simplest form and fashion, Moz Local is a service from Moz that pushes your local business information (business name, business address, business phone, business website, description, etc.) out to the big 4 data aggregators: Infogroup (also known as ExpressUpdate), Acxiom, Neustar Localeze (also known as just Localeze), and Factual at the click of a button. It takes the complexity of out of the equation: just pay, put in your business information into Moz Local’s dashboard, and boom! Moz Local will update all 4MDA’s at once. And it is also extremely cost effective at $84 a year per business location. Moz Local also updates a few other local business directories directly, does some duplicate hunting, some stat reporting, etc. but that’s all just icing on the cake. You really just need Moz Local for the 4MDA’s to either a) change all the incorrect information they have or b) to lock down the correct information they have so they don’t change it because that does happen and it can get rough to get back to where your information was correct across the board. Either way, Moz Local is a must have for any local business who is serious about internet marketing and Local SEO. It takes time for Moz Local to push your data out to the 4MDA’s. This isn’t because Moz Local is slow but is because the 4MDA’s themselves are slow. Slow at accepting data from anyone, including Moz, although it’s reasonable to suspect Moz gets their data into the 4MDA’s faster than anybody else out there since they have a direct relationship with them. The last time I checked this could be anywhere from a few days to a few weeks, with a few weeks being on the less likely side of things. The 4MDA’s take time to push data out to all of their local business directories they service. It’s my understanding that the 4MDA’s sell business information in cycles. Meaning some local business directories want fresh data from the 4MDA’s (or just one MDA as the case normally is since buying data from all 4 would be very expensive and not to mention unnecessary as they overlap) every month, some want it every 3 months, 4 months, 6 months, every year, or just 1 time. So, there’s no way to guarantee when your information will be fully distributed. Let’s say you sign up for Moz Local and localbiz.com (fake directory by the way) pulled data from ExpressUpdate (MDA) last week. But localbiz.com only pulls data every year. That means you won’t get on localbiz.com for 51 more weeks when they refresh their data again. Make sense? Also, the 4MDA’s will not tell you what directories they push your information out to, so you’re in the dark on that. So, don’t expect to find out where your local business information goes due to the 4MDA’s. But Moz Local isn’t about getting a ton of local business listings out there anyway. That’s what a local listing service like Local Listing Ninja is for. Moz Local is about making sure no bad information gets out there. Moz Local also publishes to a few “direct” local business directories. These are not their main function but they throw them in there just because. These are: Bing, FourSquare, Citysearch, Insiderpages, Superpages, Best of the Web Local, Bing. They also “indirectly” publish to a few other local business directories. This means that they submit to the 4MDA’s and the 4MDA’s tell Moz Local, “These are the publishers we submit to that you can let people know we submit to.” The 4MDA’s submit to hundreds of directories but these are the three Moz Local is allowed to tell you about: Yelp, Yellowpages.com, and Hotfrog. Not exactly a huge benefit but again, that’s not the point of Moz Local. Just cherries. You won’t find a lot of complaints. Moz Local doesn’t really have a competitor, yet. I’ve heard some rumblings about other companies jumping into the foray but no one has quite yet. Probably because the service is really, really well done and extremely affordable. I’m pretty harsh on services but as you can tell from this Moz Local review, I’m pretty happy with what they’ve put together. There seems to be some question about how Moz Local works as a citation service. My answer to that is it’s really not, which I detail in the conclusion below and also am working on a blog post to explain why. Citations are any mention of your business name, address, and phone (NAP) on the internet. These traditionally come in the form of local business directory profiles, of which Moz Local does indirectly affect (Moz Local > 4 Major Data Aggregators > Local Business Directories > Local Business Directory Profile). So, any time you have a local business directory profile with your NAP on it, you have a citation. However, there are a few problems with using Moz Local as a citation service. First and namely you don’t control these citations, you can make changes to them only through Moz Local and that takes forever (at the very least, months). Also, you don’t know who these 4MDA’s sell their data to so you can’t find these profiles/citations. And lastly, these profiles/citations are hardly ever indexed by Google and if your citation isn’t indexed by Google, it’s not helping you rank higher on Google. Google has to know about your citation for it to count toward your ranking. And that’s why we don’t recommend considering Moz Local a citation/local listing service but more of a compliment to these services. When we’re asked if Moz Local “works” or is it worth it, our answer is a resounding “yes”. Honestly, we recommend Moz Local to anyone and everyone, no matter what. Even if you’re looking at a local listing service like Local Listing Ninja, Moz Local compliments these services very, very well. Local listing services create business profiles on the major local business directories out there, give you direct control over those profiles, index them with Google (or at least they should, many don’t) and give you a serious boost in ranking on Google over time. And yes, your information on these major local business directories is locked and won’t change since these local listing services claim your profiles for you and again, give you direct control over them, able to change them at any time, etc. But there are plenty of smaller local business directories out there that only take submissions from the data aggregators themselves and if you don’t have that information controlled, you’re leaving it up to chance on whether these smaller local business directories have the correct information for you or not. Even if that seemingly small subset of information is off, it’s obviously a problem. Not to mention if you haven’t claimed your bigger local business directory profiles yourself or through a local listing service, the data aggregators submit to those as well. Local listing services are essential to ranking well on Google and making sure your information is correct for your customers to see. But Moz Local protects those rankings and that information as well. It’s an added and necessary layer of security. There’s no reason not to get it! Read this article and still have questions about Moz Local? No problem! Ask below in the comments. We always reply to people who take the time to leave us a comment!